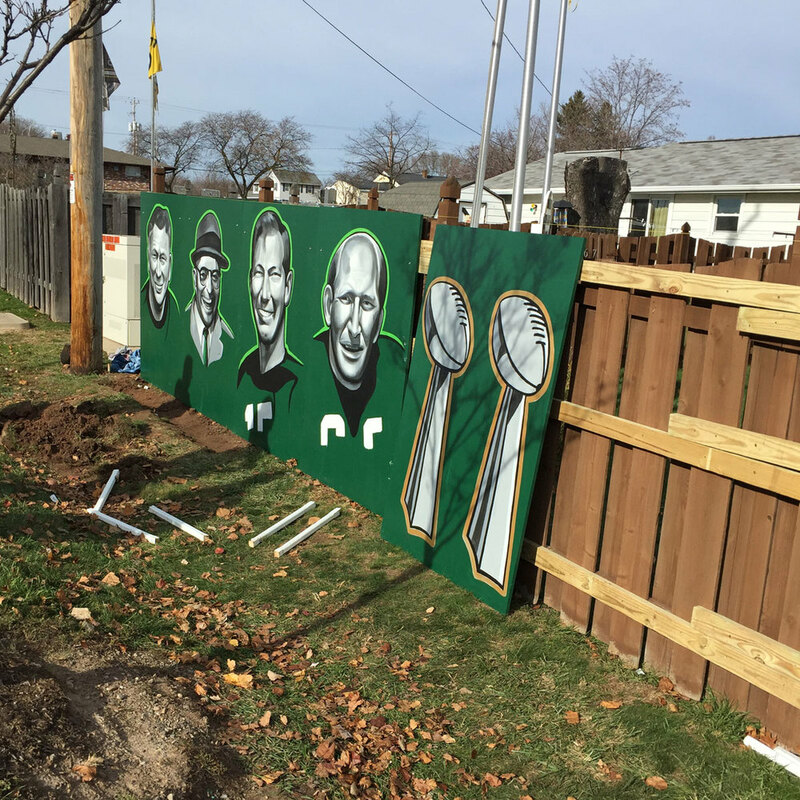 After the exposure from the Packers Fence I was asked to create another fence mural on Lambardi Ave. by another property owner. Spencer Young and I had collaborated well on the Packers Fence so I decided to do another collaboration again with him on this one. This mural was a little different than the last because there was no paintable surface to start with. We painted the mural on sheets of MDO Plywood and installed it on the existing fence when we were done. 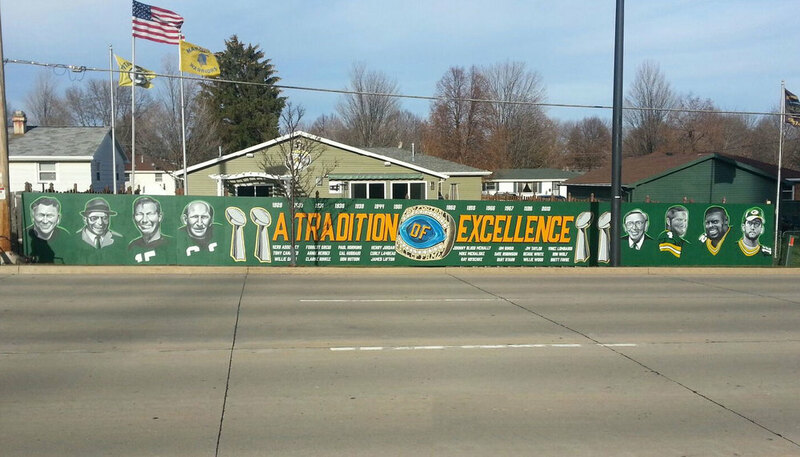 The mural features eight Packer Legend portraits along with the four Super Bowl trophies that they have won, all painted by Spencer. 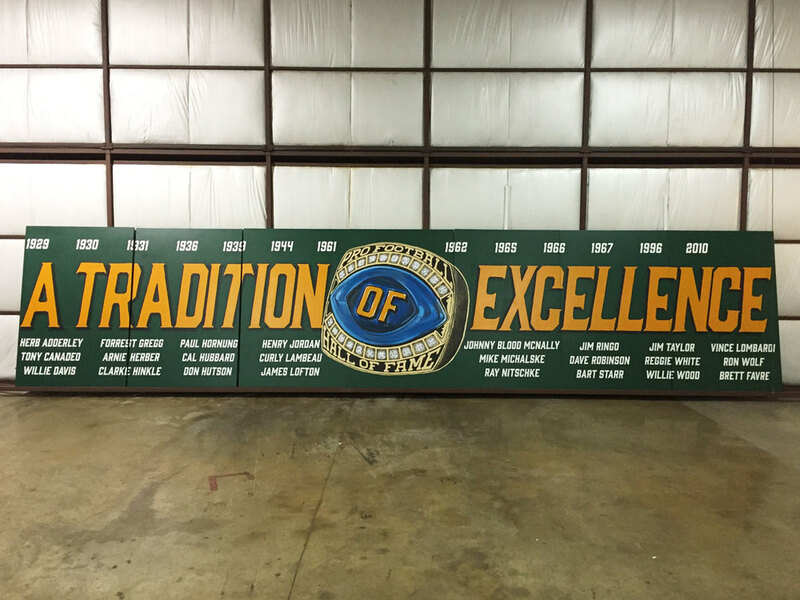 The rest of the mural was painted by myself and features the text “A Tradition of Excellence”, which refers to the years of all the NFL championships the Packers have won and the names of all the Packer Hall of Famers. To learn more on this project view the news story below.